This boat was especially developed and built for us. 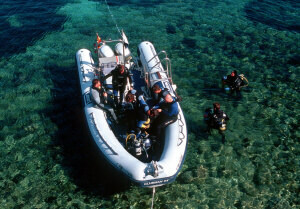 We considered all the experience of the last years to concept the boat for a maximum of comfort for scuba divers. A big ladder makes the entry very easy. 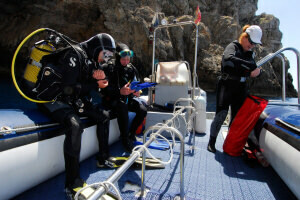 The boat is equipped with all the necessary gear to navigate safely and of course with all the safety equipment for diving operations. With mobile telefone and radio we are always directly connected with a decompression chamber.